BNFinder2 - new version available! The new version is available for download from Python Package Index and from our launchpad project page. Documentation sources and the exemplary input files are available in the source package in the doc/ folder. 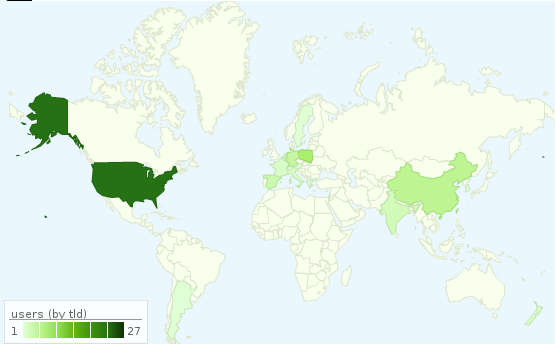 BNfinder seems to be used across almost-all continents (although it clearly needs some publicity in South America and Africa ;)). 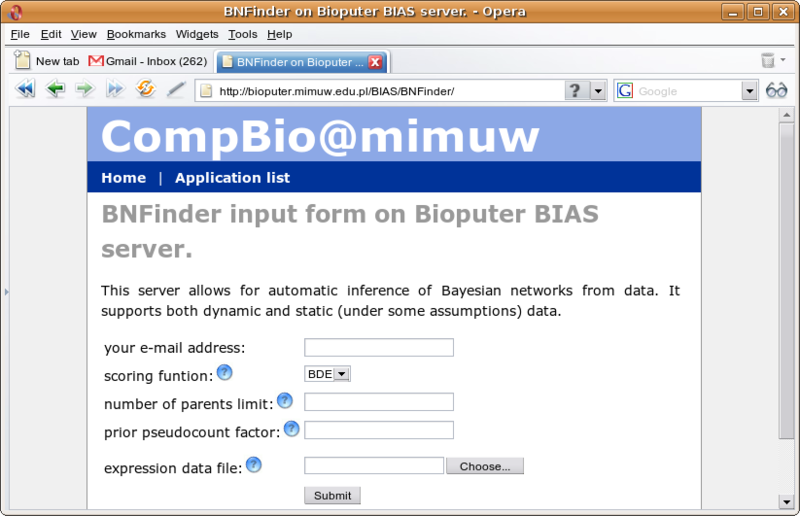 BNF toolbox allows for Bayesian Network reconstruction. It can be used for both dynamic and static networks. It is written in python, and distributed under GNU GPL Library version 2. If you do not want to install the software, try our Web interface. The interface is very simple (see screenshot). In order to test it, you only need to provide an input file containing observed experimental data (example file) and your e-mail address. The resulting network (in a SIF format readable by Cytoscape) will be sent to your e-mail address. Copyright Bartek Wilczyński and Norbert Dojer 2008-2012.